How could a Shy Person Become a Yoga Teacher? 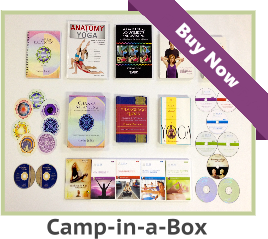 Home/YOGA TEACHER FAQs/Yoga Certification FAQs/How could a Shy Person Become a Yoga Teacher? The calling to teach Yoga classes can reach into any of us, but what about obstacles which hold each of us back. A shy person may want to become a Yoga teacher, but how can he or she develop the voice of a Yoga teacher? For an aspiring Yoga teacher, shyness is like a prison which stops him or her from life’s rewards. This person knows what to do, but feels serious anxiety when having to address a person or when having to speak in front of a group. So what is a shy, but aspiring Yoga teacher to do, when confronted with this impasse? Should he or she give up the dream of becoming a certified Yoga teacher? Some trainers of Yoga teachers would agree, but the truth is there is a solution for the shy, but aspiring Yoga teacher. Luckily, we are surrounded by recording devices. 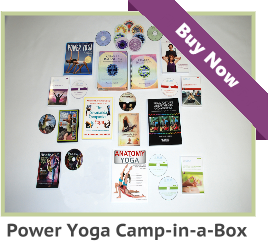 You can record your voice or film a mock Yoga class to develop your Yoga teaching skills. Watch the recording of yourself teaching Yoga, and later, practice along with the film or the audio recording. Then you can make corrections as you deal with the learning curve involved in becoming a Yoga teacher. If you have some areas in your video or audio recording that need work; you will find a solution, but you must be patient with yourself. We are our own worst critics. 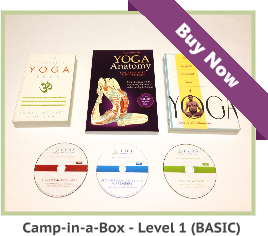 This is just a part of the learning process in becoming a Yoga teacher. It is guaranteed that if you try, you will succeed, and you will not be let down. Many of my best Yoga teacher training graduates spent their lives under estimating themselves, but found independence and a better quality life, teaching Yoga. The harshest judge many of us face on a daily basis is ourselves. This is not an exercise in self-criticism, but a proven method for developing your Yoga teaching skills. Do not “beat yourself up,” but do take a constructive look at ways you can improve the range of your voice, cueing skills, and your Yoga lesson plan. You should also seek out a trusted friend or an experienced Yoga teacher for constructive advice. Some Yoga teacher mentors will tutor you through any part of learning process. Later, you may need at least one student and you can film your lesson plan in any open room. Some Yoga teacher interns have filmed a Yoga class outside, depending upon the season. Teaching Yoga in different settings will also build new found confidence. You will learn to develop your own lesson plan. This is not acting, but a way to see your personality evolve into a Yoga teacher. This evolution of personality knows no boundaries. Most Yoga teachers are very confident and make the most out of enjoying life to its fullest potential every day. To be honest, I was nervous when I taught my first Yoga class. I never thought I would be a public speaker, and I never considered that I would some day train Yoga teachers from every part of the earth. The raw skills are within all of us, but your dreams will not be realized without positive action by you. Life happens, and hopefully, most of us change for the best. As a result, you will help others and have a tremendous feeling of job satisfaction, when you become a Yoga teacher.